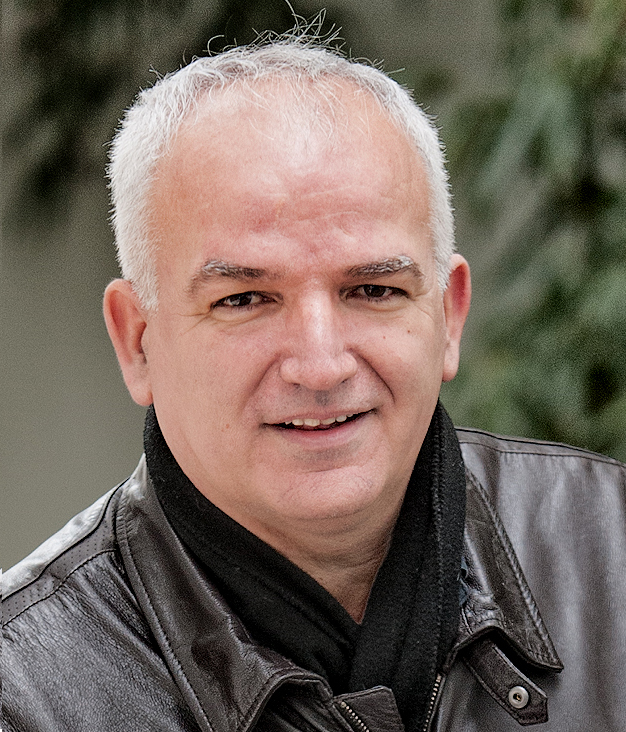 Arben Merkoçi is currently ICREA Professor and director of the Nanobioelectronics & Biosensors Group at Institut Català de Nanociencia i Nanotecnologia (ICN2), a BIST centre situated at Autonomous University of Barcelona (UAB) campus (Bellaterra, Barcelona). After his PhD (1991) at Tirana University, in the topic of Ion-Selective-Electrodes (ISEs) designs and applications in clinical and environmental analysis, Dr. Merkoçi worked as postdoc at other European research centres and USA in the field of nanobiosensors and lab-on-a-chip technologies. His postdoc periods were followed by leading positions in several laboratories: (1997-2006) at Autonomous University of Barcelona and since 2006 in ICN2. Prof. Merkoçi research is focused on the design and application of cutting edge nanotechnology and nanoscience-based biosensors. These nanobiosensors are based on the integration of biological molecules (DNA, antibodies, cells and enzymes) and other (bio)receptors with micro- and nanostructures and applied in diagnostics, environmental monitoring or safety and security. He has published around 270 peer review research papers, is editor of books (“Nanomaterials Based Biosensing Systems, by Wiley; “Electrochemical Sensor Analysis”, of Comprehensive Analytical Chemistry series by Elsevier etc. ), book chapters and special journals issues (Lab on a Chip, Electroanalysis, Microchimica Acta) dedicated to the field of nanomaterials integration and applications in biosensors. He is also involved in teaching PhD courses in field of nanomaterials based biosensors in several Spanish and international centres, has been member of commission for establishing of the new Nanoscience and Nanotechnology undergraduate academic curricula at UAB, the first one in Spain started during the academic year 2010-2011. He is currently member of the Academics Working Groip of BIST. Prof. Merkoçi has supervised 25 PhD students besides several national & international postdoctoral and other researchers in his lab and has been member or head of more than 20 PhD panels in various countries. He has got several national and international grants related to nanomaterials application in biosensors and his group is collaborating with several worldwide leading labs in the field of nanobiosensors. Prof. Merkoçi serves also as scientific evaluator and member of panels of experts of various international governmental and nongovernmental agencies (FP EU, USA, various EU and other countries), member of scientific committee of various international congresses, director of several workshops and other scientific events and have been invited to give plenary lectures and keynote speeches in more than 80 occasions in various countries. He is co-founder of two spin off companies PaperDrop and GraphenicaLab.